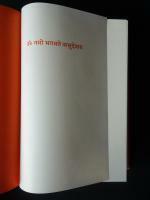 Sanskrit text with English Translation and Commentary. 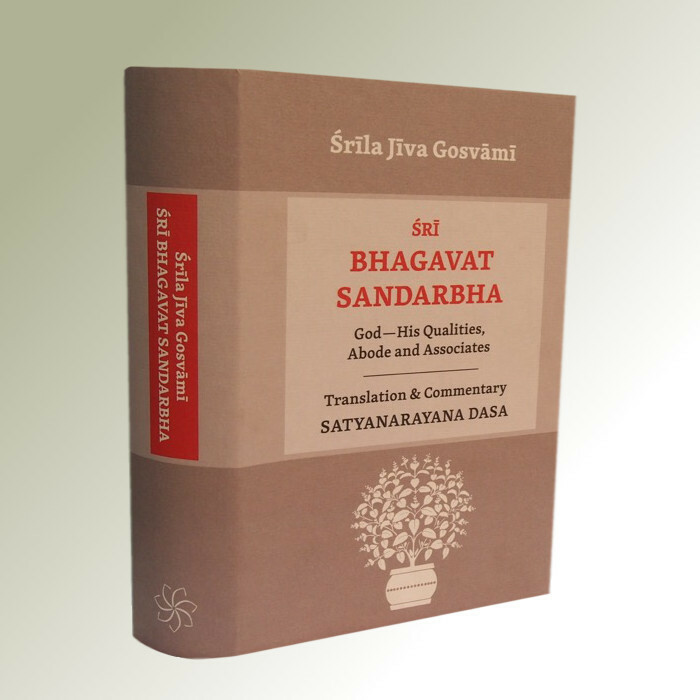 The second book of Śrīla Jīva Gosvāmī’s Ṣaṭ Sandarbhas, is quite simply a book about Bhagavan, or God, the Supreme Being. To avoid narrow and misleading notions, Śrīla Jīva Gosvāmī first establishes an objective and far-reaching context in which Bhagavan can be self-evidently understood, free from constrictive or reductionist interpretations. 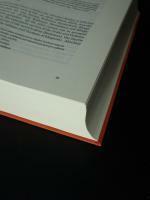 In striking opposition to popular spiritual ideas, such as “All is One,” he supplies the reader with knowledge of Ultimate Reality with unparalleled precision and exacting detail. This Reality, which is described as Nondual Consciousness (advaya-jñāna), is realized in three aspects: as Brahman (God without any qualities, the Unqualified Absolute), as Paramatma (the Immanent Self residing in each of us), and as Bhagavan (the all-powerfull, all-blissful, infinitely charming playful Person). Śrīla Jīva Gosvāmī analyzes each of these aspects and demonstrates with conclusive evidence that Bhagavan is the complete and indivisible Absolute Reality and that all other manifestations are dependent on, and thus subordinate to, Him. Download samples and find more information on sandarbhas.jiva.org. Satyanarayana Dasa, born in 1954, was drawn to the spiritual traditions of his home country India since his childhood. After receiving a postgraduate degree in 1978 from IIT Delhi and working in the United States for four years, he returned to India. There he studied the formal systems of Indian philosophy known as Ṣaḍ-darśana under the direct guidance of his guru Śrī Haridāsa Śāstrī Mahārāja and Swami Syama Saraṇa Maharaja. This education was taken up in the traditional manner for more than 25 years, while he dedicated himself as a practitioner of bhakti yoga. In 1991 he accepted the traditional Vaiṣṇava order of renounced life, bābājī-veṣa. His main focus has been with the works of Śrīla Jīva Gosvāmī, particularly on translating the Ṣaṭ Sandarbhas, into English and commenting on them. He also earned four śāstric degrees, and received both a law degree and a PhD in Sanskrit from Agra University. 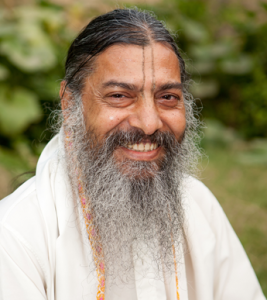 Satyanarayana Dasa is the director of the Jiva Institute of Vaishnava Studies in Vrindavan, India. He is a visiting professor at Rutgers, the State University of New Jersey. In 2013 he was honored by the president of India, Pranab Mukherjee, for his extraordinary contribution in presenting Vedic culture and philosophy, both nationally and internationally.